As the bicycle craze of the 1890s morphed into the automobile craze of the 1900s, many companies moved aggressively to take advantage of the new market. The Kelly Handle Bar Company was one of many companies that expanded its market to include automobile accessories. 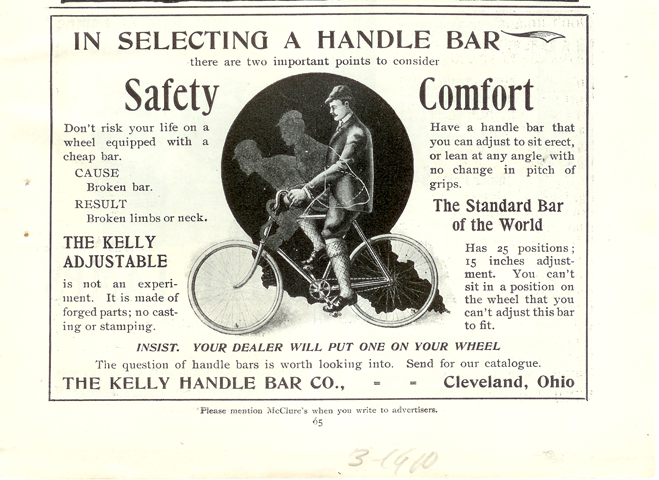 This advertisement illustrates the Kelly Handle Bar Company's earlier products. McClure's Magazine, March 1900, p. 65. 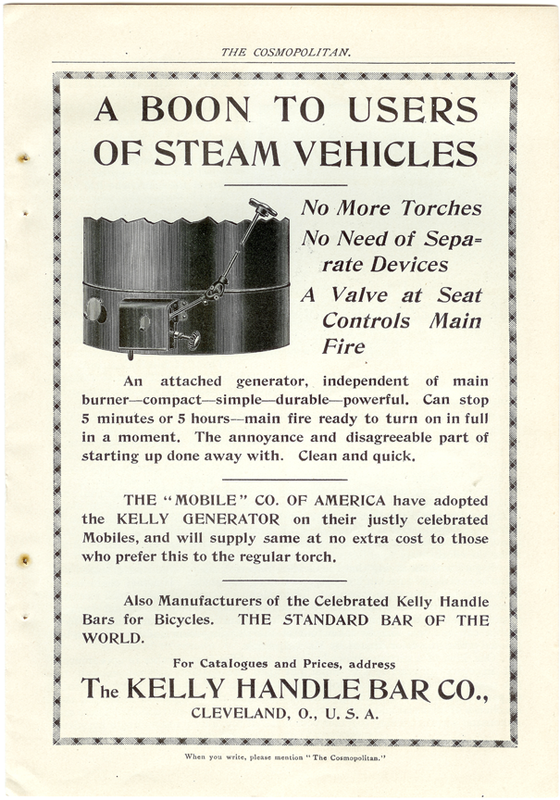 By early 1901, the Kelly Handle Bar Company was expanding its product line to include burners that were fit to Mobile Steamers. Cosmopolitan Magazine, May 1901, no page number.